How LARGE is the Nokia N8 large image sensor? Updated! Earlier today Nokia announced their latest multimedia flagship, the N8 and said that it packs a large sensor that rivals those found in compact digital cameras. But they never actually quoted the exact sensor size and since compact cameras sensors go from 1/3″ through 1/2.5″ to 1/1.6″ in diagonal (from smallest to largest) I felt the need to do the math and find out where exactly the Nokia N8 ranks. After all 1/2.5″ sensors have been around the mobile industry for a while now – Nokia N95 had a sensor about that size some 3 years ago. Yet, it turns out that Nokia did have something to boast about with the Nokia N8. So let’s do the math ourselves. We know the quoted focal length of the lens, 5.4mm – as printed on the device itself. We also know the effective focal length, 28mm – as flaunted in the marketing materials. So let’s divide the effective focal length over the quoted one and we get something along 5.185. Then it’s easy to look up that number in Wikipedia’s Image sensor format article. So, it turns out that the Nokia N8 camera sensor stretches over roughly 1/1.9″, which is an impressive number on its own. 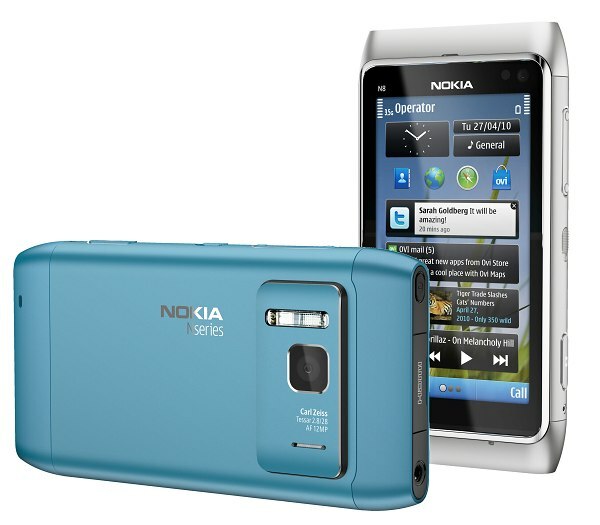 Even if Nokia N8 was a dedicated digital camera, its sensor would still be considered large. Update: We stumbled upon this thread, where the Nokia camera guru Damian Dinning makes it clear that the image sensor of the N8 measures exactly 1/1.83″. He also revealed some extra info about the camera specs like maximum ISO speed (1200) and minimal focus distance (10cm). Impressive stuff indeed. I just can’t wait to get my hands on a sample unit. The officially published samples look quite good.